By now, everyone has probably seen Kevin Ware’s gruesome leg injury that left coaches with tears in their eyes and made his teammates physically sick. The injury—which included a bone protruding six inches out of Ware’s leg—was so bad that CBS refused to show the replay during or after halftime. But perhaps the most cringe-inducing aspect of the story is also the most overlooked—what will Ware’s medical bills be like, and how will he be able to pay them? On that front, we have at least one bit of good news. Ware, it turns out, will not have to pay the enormous medical bills that come with such an injury—specifically, a compound fracture of the lower right leg. Louisville will cover the medical expenses. 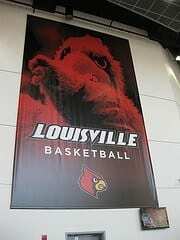 “There is generally no out-of-pocket medical expenses for the student-athlete or his family, and none for Kevin in this instance,” said Kenny Klein, Louisville senior associate athletic director for media relations, in an interview with USA Today. The reason most athletes don’t have to pay for their own medical bills is because Louisville acts as an insurance co-provider, and the athlete’s family’s insurance serves as the primary coverage. In the case of Ware, Louisville will be footing the entire bill. The NCAA has its own insurance policy on players playing in the tournament which covers medical expenses up to $90,000. Ware went through a two-hour surgery successfully Sunday night, and the Associate Press reported that he was able to walk around freely, if feebly. According to TIME, the injury is considered highly unusual for basketball players. “It’s not a common injury we see in the sports setting at all. 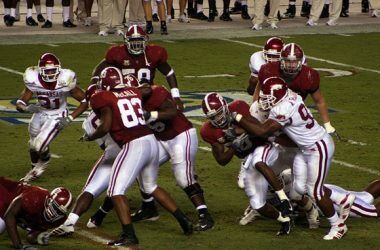 We usually see this from car accidents or traumatic falls from very significant heights, where there is enough force for the bone to shatter and come through the skin in a compound-like fracture,” said Dr. Robert Glatter, a former sideline physician for the New York Jets, in an interview with TIME. “He probably torqued his leg, or slightly rotated it so that when he landed, the force transmitted through the bone and punctured the skin,” said Glatter in the same interview. So the injury is gruesome, no doubt. But the medical bills won’t be causing any more pain, and that’s one thing Kevin Ware’s family can be happy about.